"Overall the stay was excellent." Have a question for Park Hyatt Goa Resort and Spa? "Park Hyatt was a beautiful hotel with great facilities but on the pricey side." "Ms. Miranda was nice and cordially explained about the various amenities available at the resort." "Very peaceful relaxing and courteous staff." "Was stunned with the view of the location and the garden, po..."
Park Hyatt Goa Resort and Spa is a 5-star hotel with a unique village concept. This beachfront property is spread across 45 acres with waterways and lagoons. Spend your days lazing by the country's largest pool, exploring the sights of this former Portuguese colony or trying some of the water sports on offer at the Hyatt. 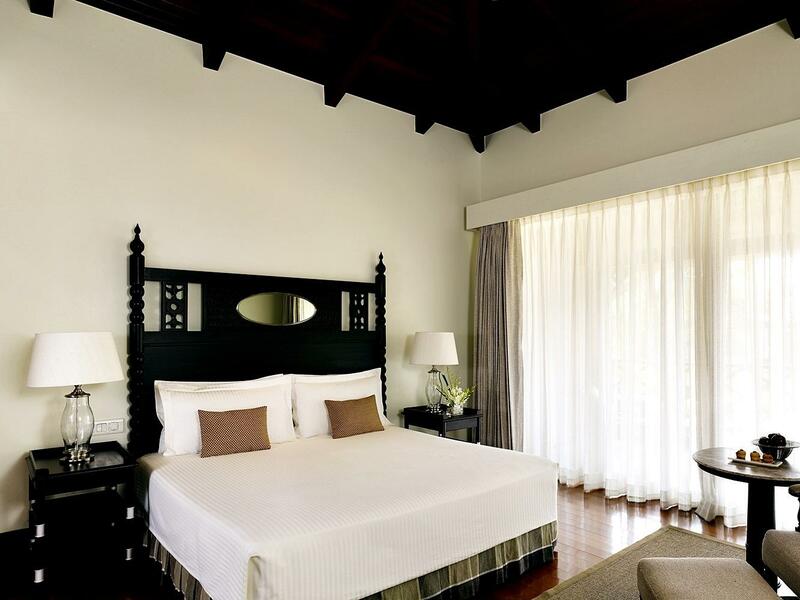 Park Hyatt Goa Resort and Spa was conceptualized as a charming Indo-Portuguese village housing 250 posada-style guestrooms and suites, each offering a spa-inspired bathing experience. And if you wish to stay out of the water, beach volleyball, tennis, and archery facilities are available for guests. With five restaurants serving everything from authentic Indian to fresh seafood on the beach, you will always find exactly the meal that you are craving for. Designed as a relaxing destination, the hotel features extensive spa facilities, offering holistic, Ayurvedic, and Yogic treatments. Other facilities include the award-winning Sereno Spa, one of the largest swimming pools in India, picturesque function spaces, and Camp Hyatt for younger guests. The spacious and luxurious rooms at the hotel all feature sunken tubs, rain showers, and include a balcony. 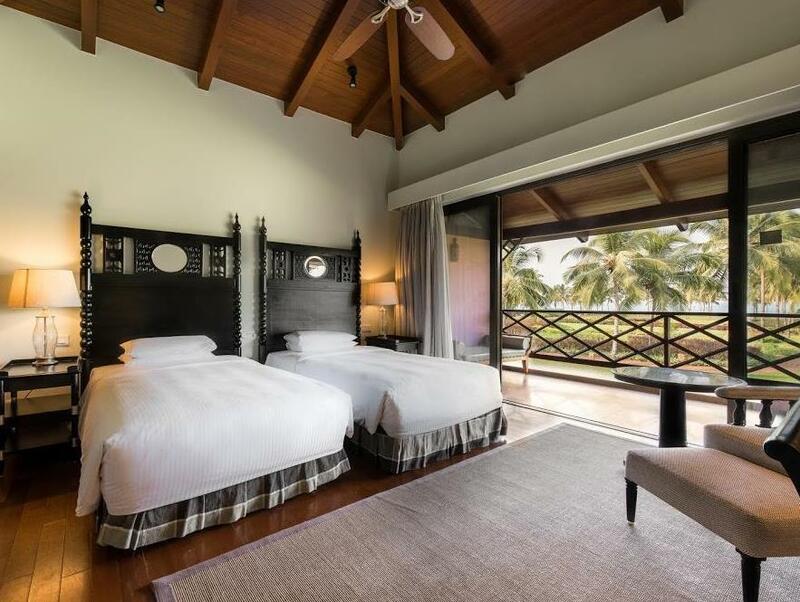 "Everything about the property is just amazing from the stay..."
The airport transfer is a shared transfer with air conditioned shuttle and not an individual car transfer. The individual car transfer will contain an additional charge. Would stay again - great food and rooms were very clean. Pool lovely and beach well managed! room service and cleaning of room needed to be spruced up.Often room service not done .Otherwise fantastic experience with great kind and polite staff . Pros: location, facilities, some of the staff is too good. Rajesh at the poolside, Shubhankar I’m housekeeping and Swati at front desk are gems of Hyatt service. Cons: some staff is spoiling the name of Hyatt. People like Himanshu and Nikhil at the village cafe, and one girl at the spa look like a misfit in Hyatt. Overall the stay was excellent. Ms. Miranda was nice and cordially explained about the various amenities available at the resort. The only issue - Cooks cook, Taxi drivers drive and so should a Yoga instructor who decided to ask for my room number at the end of the session. Yoga instructor must only practice and instruct on Yoga. Overall a good experience. Dear Guest, Many thanks for your feedback. We thank you for your continued patronage. Your feedback has been noted and shared with the team for improvement. We thank you for giving us an opportunity to improve our service in the future to all our guests.We look forward to creating a personalized experience for you in Goa soon. The moment the girl at the reception said that considering you are traveling with you mother (+80 years) , we have reserved your rooms near the pool & restaurants, I knew we are in good hands and they proved that in every interaction during the next week. Dear Sanjay, Many thanks for rating us and sharing your review. We are delighted to discover that you had a luxurious family holiday with high standards of service.We hope to create many more memorable experiences for you in Goa soon. Park Hyatt was a beautiful hotel with great facilities but on the pricey side. The staff could not have been more helpful. Dear Guest, Many thanks for your feedback. Your feedback has been duly noted and shared with the team for improvement.We look forward to creating many memorable moments for you in Goa soon. Dear Guest, Many thanks for your kind feedback.We are delighted that you enjoyed a memorable stay with your family. We hope to create many more enriching holiday experiences for you in Goa soon. Very happy. All staff superb. Spa services the best. Smoking areas too close to pool .We had to move because of smokers too near pool.. Spraying for mosquito s is at 5pm each day if you want to avoid the spray..Note also spray occurred around outside dining areas which had been set with utensils and plates on them..This needs to be changed. This resort and staff is one of the best around and we would most definitely return. Fitness centre also very good with bench ,squat rack and good number of barbel plates.A little short on top end dumbels. (to 15kgs)possible to get good workout done. Dear Guest, Many thanks for your feedback.We are delighted that you enjoyed our facilities and services that we offer at the Park Hyatt Goa Resort and Spa. 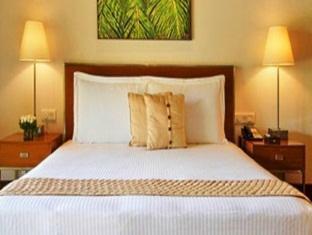 We hope to create many more enriching holiday experiences for you in Goa soon. Thank you very much for an absolutely incredible stay! Everything about this hotel is just perfect - from the amenities, to the food and especially the staff. We are already planning our next trip. The Park Hyatt Goa is a true gem. Special thanks to Evelyn who went above and beyond for us. She checked us in seamlessly on arrival and then provided me with her whatsapp number for anything we may need while there. She responded to my requests immediately and nothing was ever too much for her. She also arranged for a beautiful anniversary surprise, in conjunction with my husband, in the room for me. On check out, after discovering I enjoy reading, she gifted me with a beautiful bookmark. Thank you, Evelyn!! Also, a special mention to the staff at the beach and at the pool. You guys are incredible!! We also really enjoyed breakfast, especially the waffles and pancakes made by the ever smiling Ankush. Thank you and we look forward to our next visit. Dear Guest, Many thanks for your feedback. We are delighted to learn that you have had a luxurious stay.We hope to create many more enriching holiday experiences for you in Goa soon. Service was amazing, breakfast was world class, views are to die for. What else could you want? We had a great time here. The pool and the beach are great. The kids loved the activities in Camp Hyatt. The food is expensive, but everything about the place was great. Some staff are more considerate and accommodating than others ! The lack of communication between the staff was quite disappointing. I had to wait for an hour for the porter to come fetch my bags during my check out. Ironically when I requested for a 1hr later check out I was refused on the basis of the room already being sold out but then kept waiting for more than an hour ! Their Italian restaurant Da Luigi menu is not really authentic and of international standard even though the prices matched international standards. Overall my stay was still great but the rooms need a facelift /rejuvenation soon ! They need a full refurbishment !